IMMACULATE MOVE-IN READY, WAITING ON YOU TO BRING YOUR FAMILY. 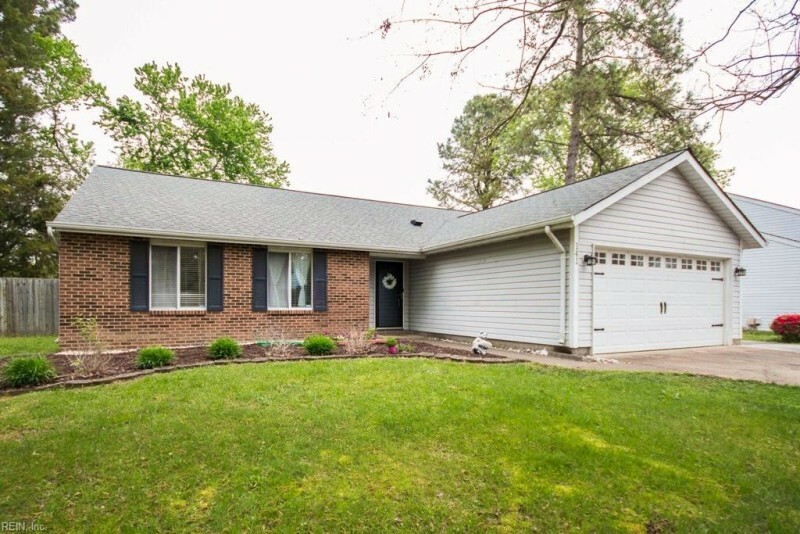 GORGEOUS 3 BEDROOM, 2 BATH HOME NESTLED AWAY IN DENBIGH ON A CUL-DE-SAC. BEAUTIFUL NEW KITCHEN WITH BACKSPLASH & APPL, BATHS, STAMPED PATIO WITH GAZEBO, EXTENDED PARKING PAD AND OVERSIZED 2 CAR GARAGE, FLOORING, PAINT, NEWER ROOF, ALARM SYSTEM, VAULTED CEILINGS, NEW LIGHTING. THE HOUSE THAT JUST KEEPS GIVING! Ready to visit 141 Chase? Request a free property tour! Send me more information about the listing at 141 Chase, Newport News, VA 23608, MLS# 10251829. This 3 bedroom, 2 bathroom home located at 141 Chase, Newport News, VA 23608 has approximately 1,500 square feet. It is currently listed for $199,900 and has a price per sqft of $13,327. This home is currently New Listing under the MLS#: 10251829. This listing is provided by Howard Hanna William E. Wood. 141 Chase Court, Newport News was built in 1987. It has Garage Att 2 Car, Oversized Gar, Multi Car, Off Street parking.The kitchen includes Dishwasher, Disposal, Dryer Hookup, Microwave, Elec Range, Refrigerator, Washer Hookup. 141 Chase is part of the Stoney Run neighborhood located in 23608.